Guaranteed Rent, Rent Guarantee Schemes or Rent Guarantee Insurance could have a big impact on the best way to rent out your property. Unfortunately, unless you’ve got a pretty good understanding of the world of buy-to-let, it can be somewhat of a challenge to navigate the jargon to determine what’s best for you when becoming a landlord. Guaranteed rent vs rent guarantee insurance for landlords. What’s the best option? In simple terms, all of these rent guarantee products are designed to guarantee the landlord’s rent in situations where either the tenant falls into financial hardship and cannot afford to pay the rent, or in cases where they refuse outright to pay rent for whatever reason such as disputes. With a number of guaranteed rent schemes on the market, each with their own unique terms, conditions, eligibility and restrictions, it can seem confusing to decide on so let’s begin with understanding what is rent guarantee insurance? Rent Guarantee Insurance is essentially an insurance product that you can purchase from a specialist landlord insurance broker. The tenant must have undergone comprehensive tenant referencing before the agreement was signed. Some insurers do not accept tenants in receipt of housing benefit whilst others will accept a working guarantor. The rent guarantee insurance must be purchased before the tenancy is signed or if not, you are unable to make a claim within a certain period. To make a claim you may have to pay an excess which is usually equivalent to one month’s rent. There is usually a cap on the amount of rent recovered, usually £25,000 – £50,000 in a total claim. The time it takes to be paid your first month’s rent under a claim can be around 8 weeks in arrears. You must be prepared to continue paying your mortgage regardless. In my opinion, this would be the bare minimum I would want in terms of ‘financial protection’ when letting a property – especially if the property was mortgaged. This really is the key differentiating factor of a Rent Guarantee Insurance product – the time it takes for the landlord to receive the rent which is usually up to 8 weeks. Download our 30 point checklist for landlords. It’s packed with information to help you getting ready to rent out your property. We would always advise any landlord to make sure that they have at least 3 months worth of funds available to cover mortgage payments. Chasing the tenant for late rent is one issue – having to explain to a bank that you cannot afford the mortgage as the tenant hasn’t paid is a whole new ball game and one we would not recommend playing. As Mr Patel, one of our gold landlords, recently discovered, if you have arranged rent guarantee insurance, you’ll know that in 2 months time, the insurance will kick in. What are Guaranteed Rent & Rent Guarantee Schemes? Guaranteed rent shares some of the benefits of a rent guarantee insurance however, in the case of our platinum Rent on Time package, the landlord’s rent is paid every month on a set day even if the tenant does not pay rent. Essentially, there is no more stress when waiting up to 8 weeks for your rent to be paid. The industry may refer to this type of product as a guaranteed rent scheme and there are some high street agents that offer this type of service however, from our perspective, there is one major difference and that is – your rent is paid to you in full at current market value. The tenant having undergone referencing including a landlord check, employment and credit check. What is a Rent-to-Rent scheme and is it guaranteed rent? One known high street agent offers guaranteed rent however, they effectively become your tenant and they sub-let your property. They then pay you “slightly less than the market rent value”. This can also be refereed to as Rent-to-Rent and you may be interested in reading Mary Latham’s views on the pitfalls of Rent-to-Rent schemes. Under a Rent-to-Rent scheme, landlords let their property to an individual, company or letting agent who become the ‘tenant’ for a certain amount of time in return for a guaranteed monthly income. The ‘tenant’ or agent then sublets the property and manages the tenancy. Money is made on the difference between the rent they pay the landlord and the rent they receive from the subtenant. Most schemes promise to cover any void periods and maintenance costs. Things can go wrong in these set-ups if the middleman doesn’t have the financial resources, or inclination, to back up the guarantee. In the worst case scenario landlords can be stuck with tenants in their property but no rent. If a rent-to-rent arrangement goes wrong, or the company offering the guarantee goes bust, it can be difficult for landlords to get their property back. We recently compiled an infographic highlighting the costs of tenant eviction and through our research we found that between January to March this year, 35,188 possession claims were registered by landlords in England and Wales and a staggering 25% of these possession claims were escalated to a repossession being carried out by a county court bailiff. That’s on average a hundred rented homes visited by a court bailiff a day and being forced to leave. 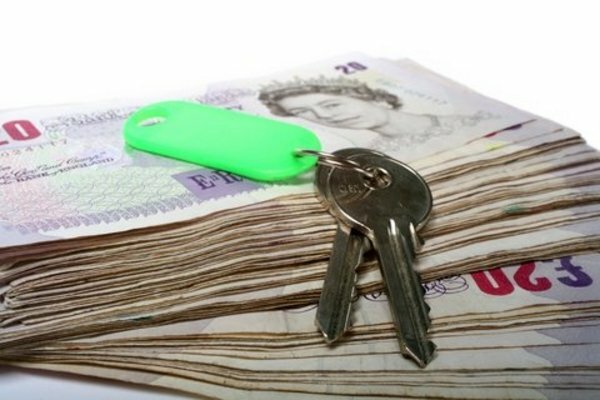 The strongest case for having financial protection against tenants not paying rent has got to be in the average time it takes for a landlord to gain possession. According to the Ministry of Justice, it now takes on average 41 weeks from submitting a claim to taking possession of the property. In worst cases scenarios across the UK, the costs of loss of rent and legal fees can be in excess of £10,000. That figure could then rise to £16,000 for those landlords letting property in London. With recent changes to landlord tax calculations, landlords are looking at ways of offsetting their regular expenses to minimise their tax bill whilst retaining as much of their rental income as possible. The costs of having a rent guarantee insurance product or guaranteed rent scheme could set you back as little as £49 to £89 per month. In comparison to the potential loss of income, this is a small price to pay to secure your future peace of mind. However, it is still an additional monthly expense. The silver lining being that you are allowed to claim this cost as an allowable expense. This may make a marginal difference to your net rental income but a positive difference nonetheless. Secondly, if one was to compare our rent guarantee scheme vs that of a high street agent who sub-lets your property and pays you less than market value, you may find that the difference between the market rate and what you are being paid would be more than 3 – 4 times the costs of a fixed fee guaranteed rent scheme. And finally, the rental market is buoyant, especially at this time of year which is typically the best time of year to be letting a property. Many landlords that we work with have increased their rents slightly to offset the costs of having guaranteed rent and depending on the area of your buy to let property, this has not affected how quickly the property is let out. If you would like to discuss our guaranteed rent package or you would like to find out how much your property is worth on the open rental market, please give us a call on 0333 577 888 and one of the landlord team will be happy to help. The cost of landlord repossessions during the months of January – March 2017. Guaranteed rent, rent guarantee schemes & rent guarantee insurance could have a big impact on your landlord business.